Rajasthan GK Question Sample Paper 2: Rajasthan General Knowledge Sample Question Paper No. 2 with Collection of Rajasthan GK Questions. Q.1 "Direct cash transfer scheme" is rolled out in which three district of Rajasthan ? Q.2 Brahma Mandir is situated at ? Q.3 Maharaja Jhunjhar singh established which city ? Q.4 First Female MLA of Rajasthan was ? Q. 6 GAAR stands for ? Q.7 Who is appointed International Goodwill ambassador for UNAIDS ? Q.8 Mangala, Bhagyam and Aishwariya are ? Q.9 Second highest peak of Arawali Hills in Rajasthan is ? Q.10 "Bank of Rajasthan" was merged into ? Q.11 "Chhappan Basin" is in the district of ? Q. 12 "Gang Canal was constructed in Year ? Q. 14 Rajasthan's first Telemedicine Village is ? Q. 15 College of Dairy and Food Science Technology (CDFST) is situated at ? Q. 16 Rajasthan Technical University (RTU) is situated at ? Q. 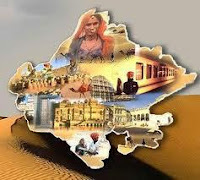 17 Official Language of Rajasthan is ? Q.18 Devendra Jhajharia is associated with sports of ? Q.20 Which of the following are infected by "foot and mouth" disease ? Q.21 Night blindness can be corrected by the intake of ? Q23 . White cement is rajasthan is produced at ? Q.24 Which place do not have Smelters by Hindustan Zinc's ? Q.25 The main source of Irrigation in Rajasthan is ? Q. 26 Terah Taali dance is done mainly by ? Q. 27 Which of Following is Not PSU owned by Govt. of Rajasthan ? Govt. of Rajasthan has no stake in BSNL, Rajasthan Circle or Bharat Sanchar Nigam Ltd (BSNL). The owner of BSNL is Govt. of India. with 100% stake. under Department of Telecom (DoT). Q.28 RSMML have Corporate Office at ? Q.29 Who is current Speaker of Rajasthan Legislative Assembly? Q. 30 Bharatpur Maharaja Surajmal belong to which Jat Clan ? solid bt sir do hard work to collect history questions!